Beech forest walk at the head of Lake Ohau. This Track is best done as an overnight walk with a stay in the hut. It is about 3 and half hours from carpark to hut and crosses 2 rivers so prior experience is necessary. 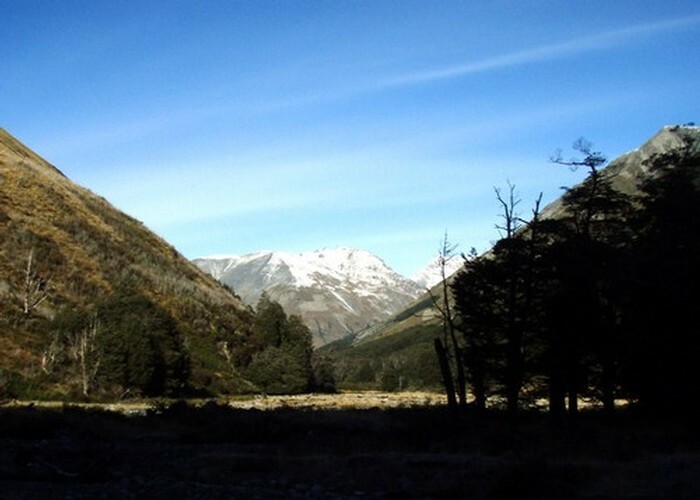 The track itself mianders its way up South Temple Valley on the true left side of the river until you reach the hut. Be aware that after heavy rain some portions of the track may be underwater. South Temple • By madpom. Added 16 January 2011 by MatthewMatthew. 1 revision 26 February 2017 by MnementhMnementh. 132 views in the past year (11 per month).